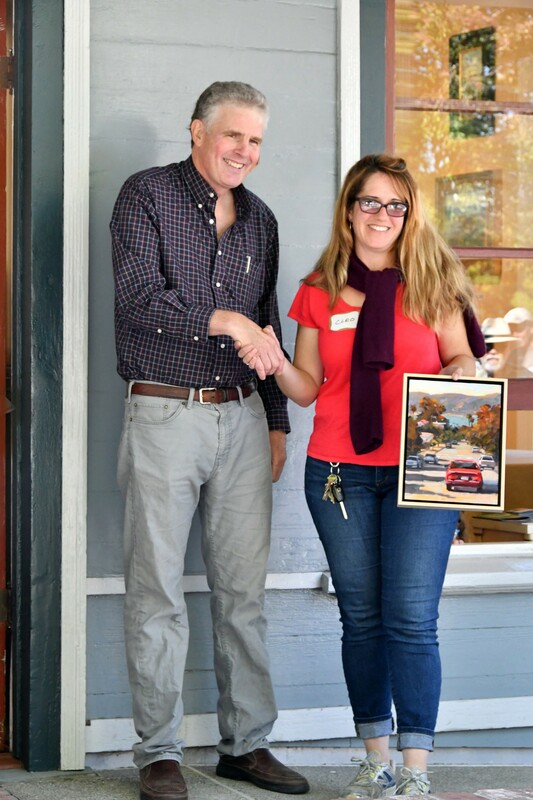 First place winner Cleo Vilett shakes Judge John Finger's hand as she recieves her blue ribbon. 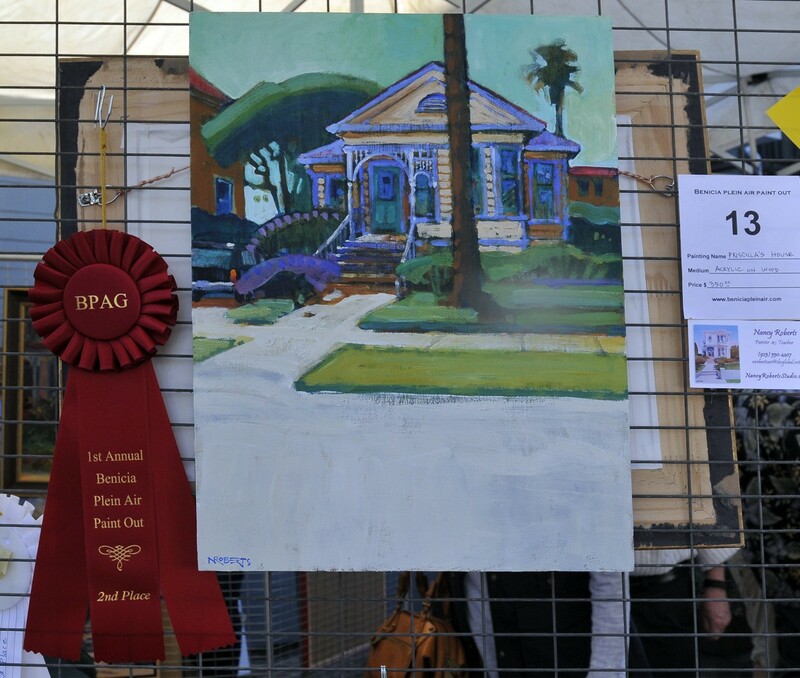 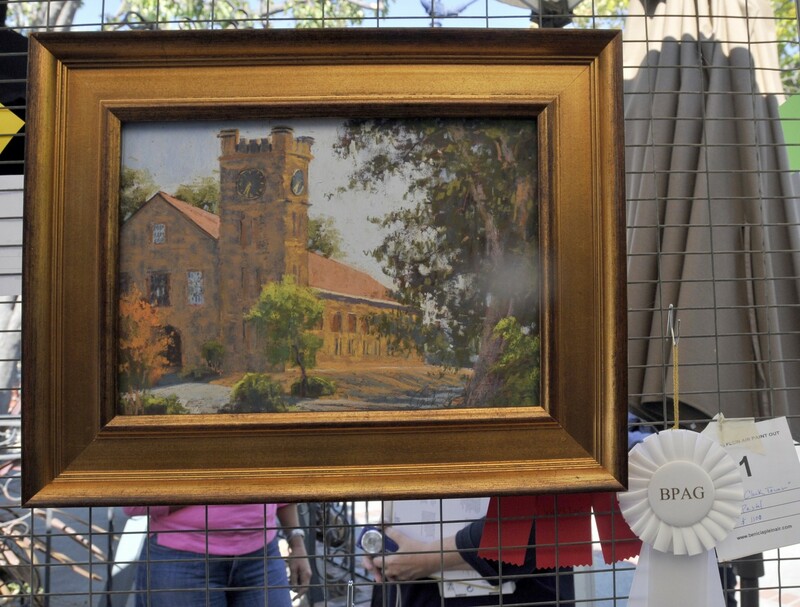 Cleo also won a cash prize and a Gamblin Oil Paint Set. 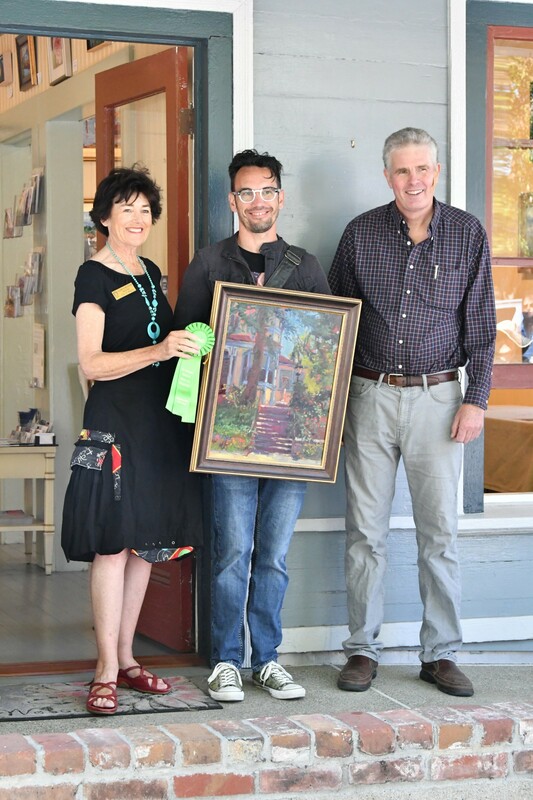 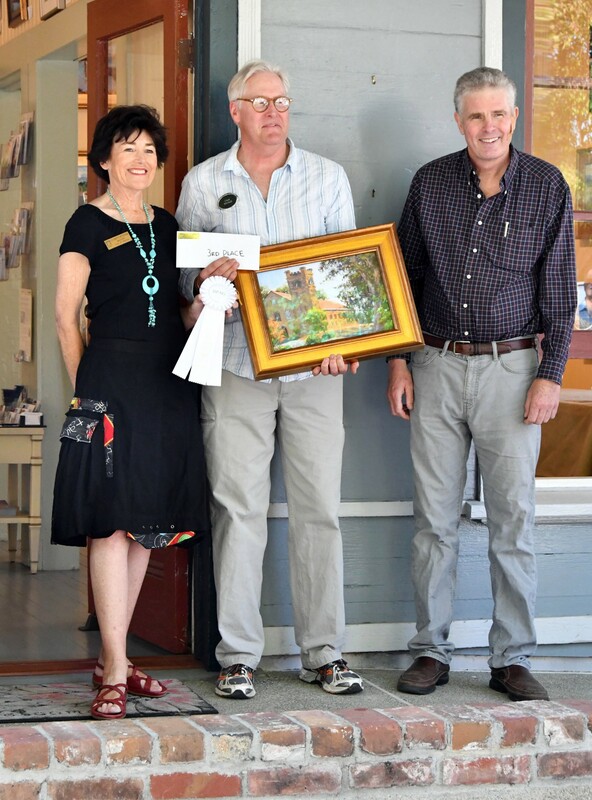 Third place winner, Clark Mitchell stands between Mayor Patterson and Judge John Finger with his painting and white ribbon. 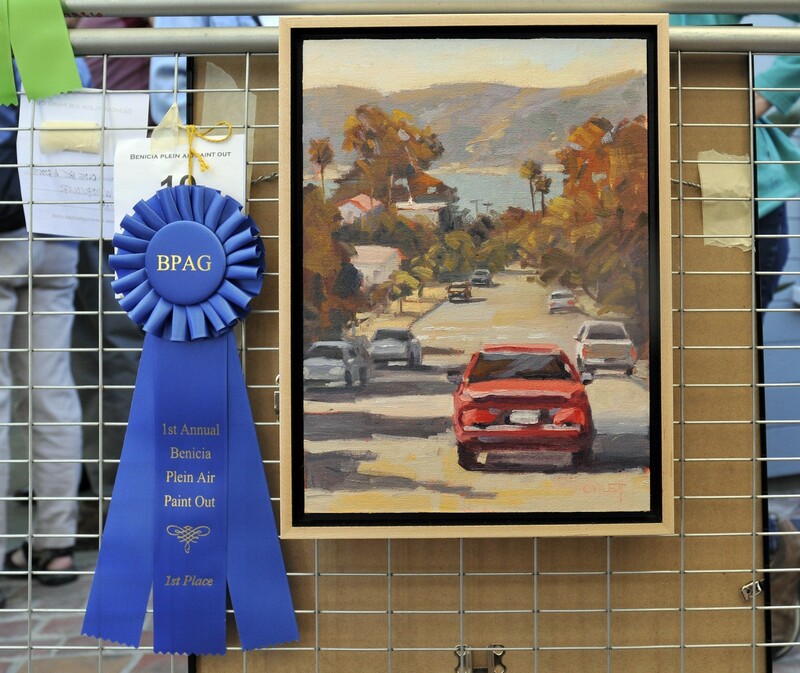 He recieved a cash prize and Ampersand Gessobords. 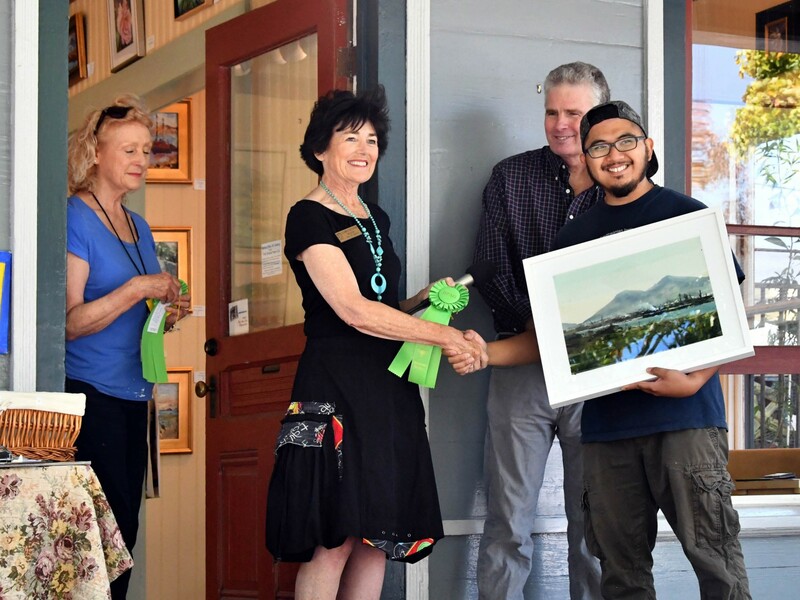 Mark Monsarrat won the Second Honorable Mention and is shaking John Finger's hand as he accepts his prize. 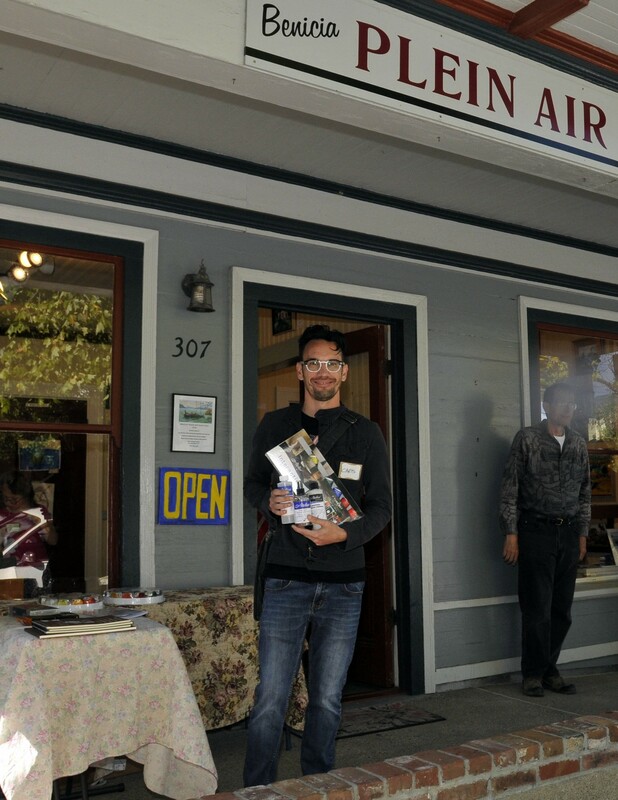 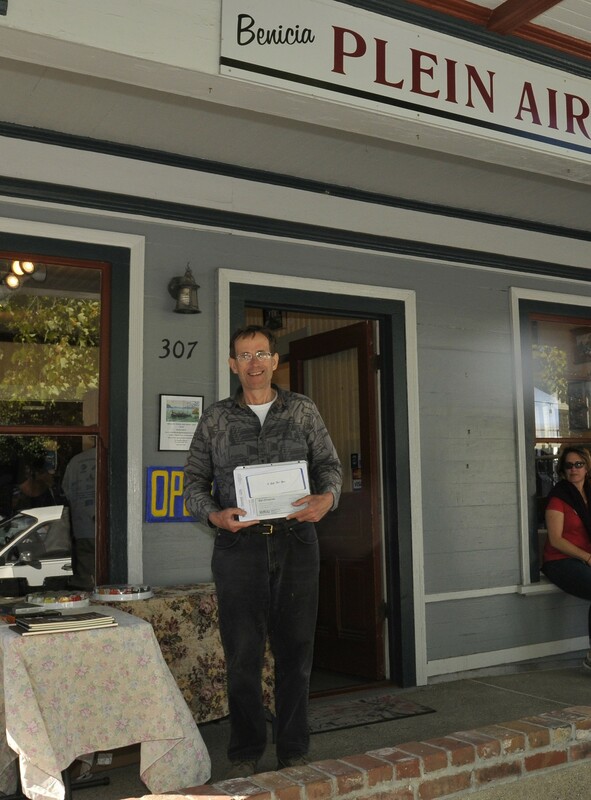 He won a $100 gift certificate from Golden Paints. 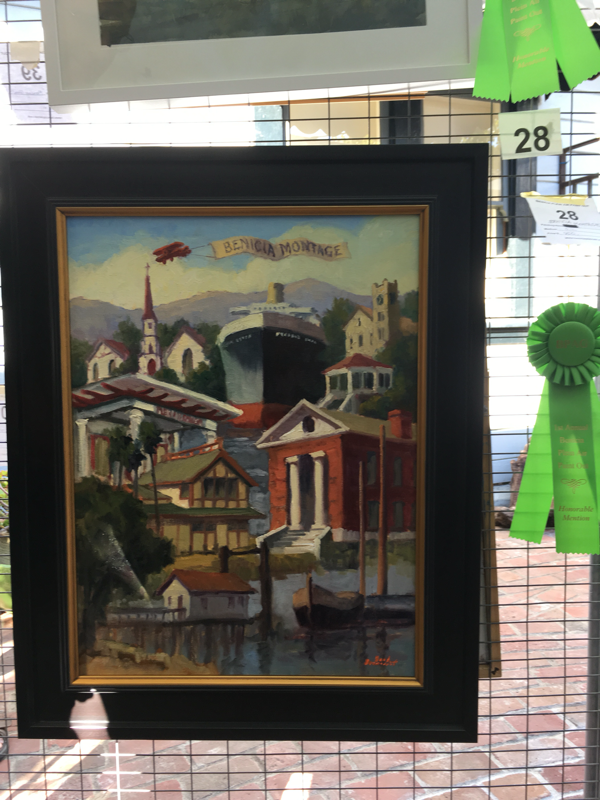 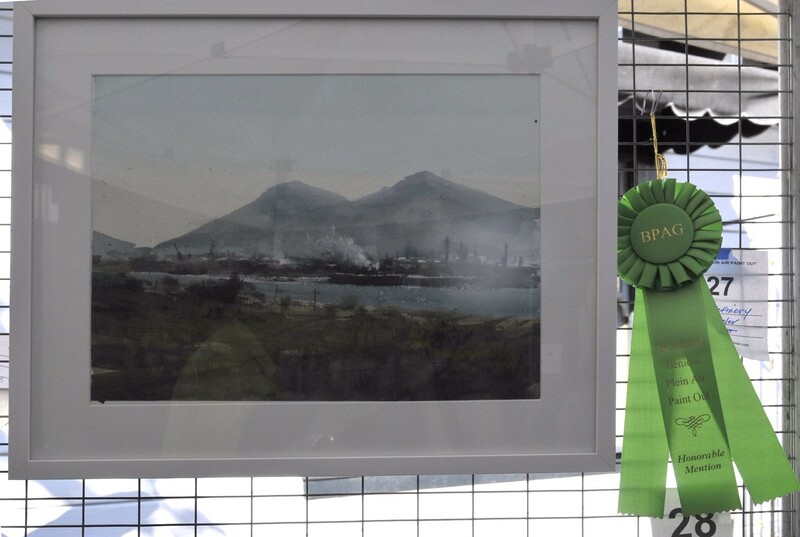 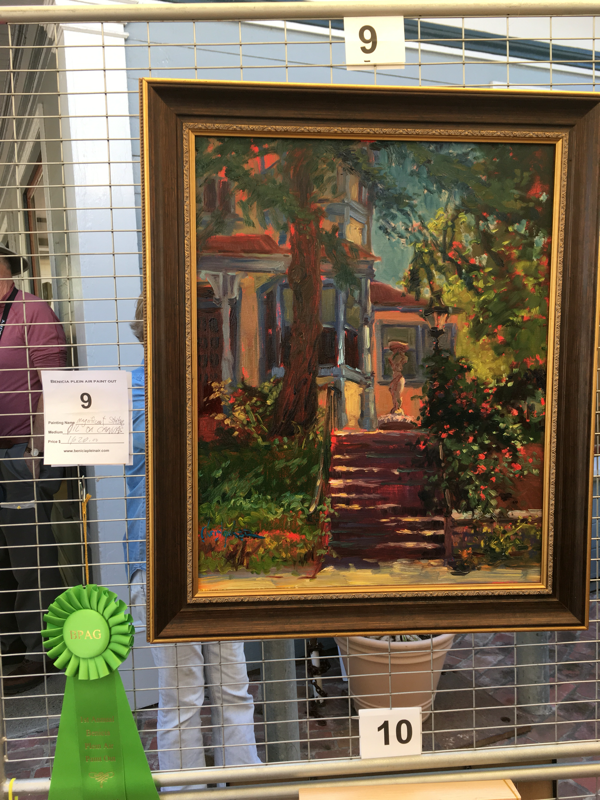 Justin Pastores is the Third Honorable Mention winner. 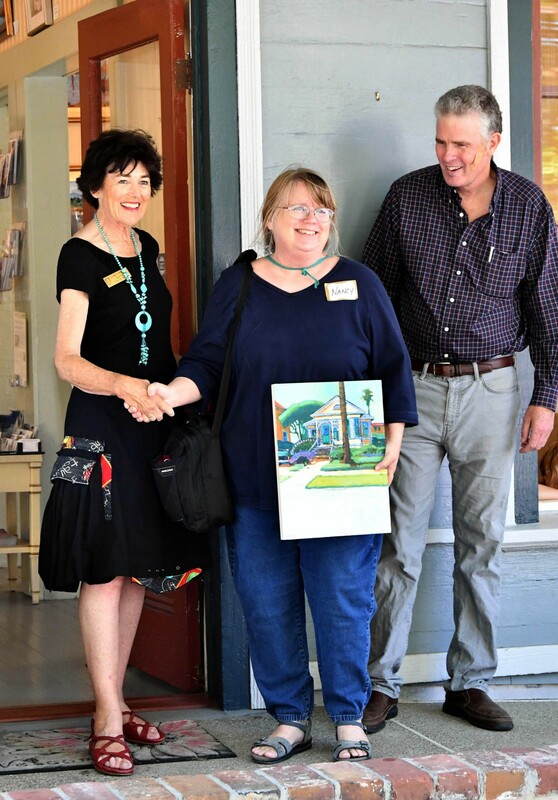 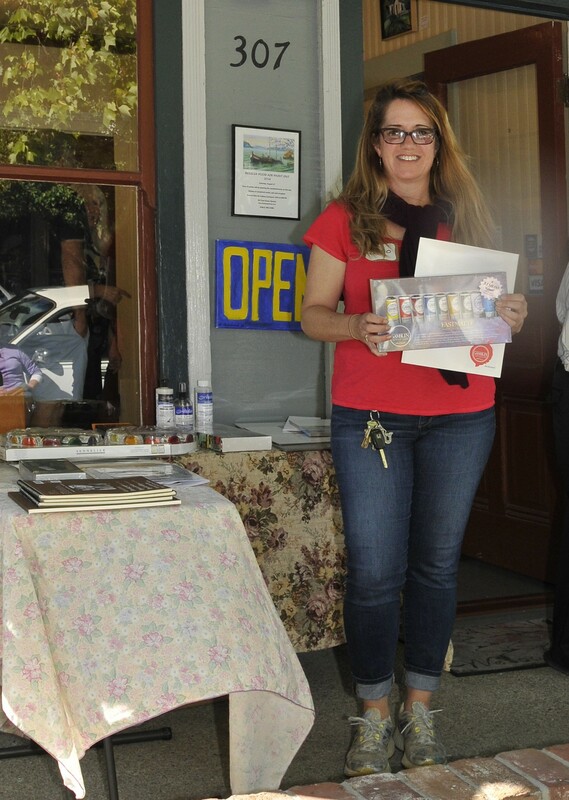 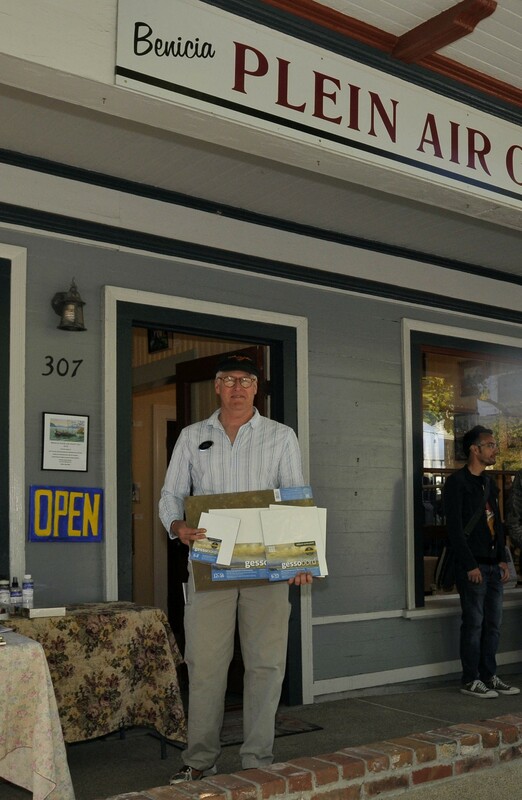 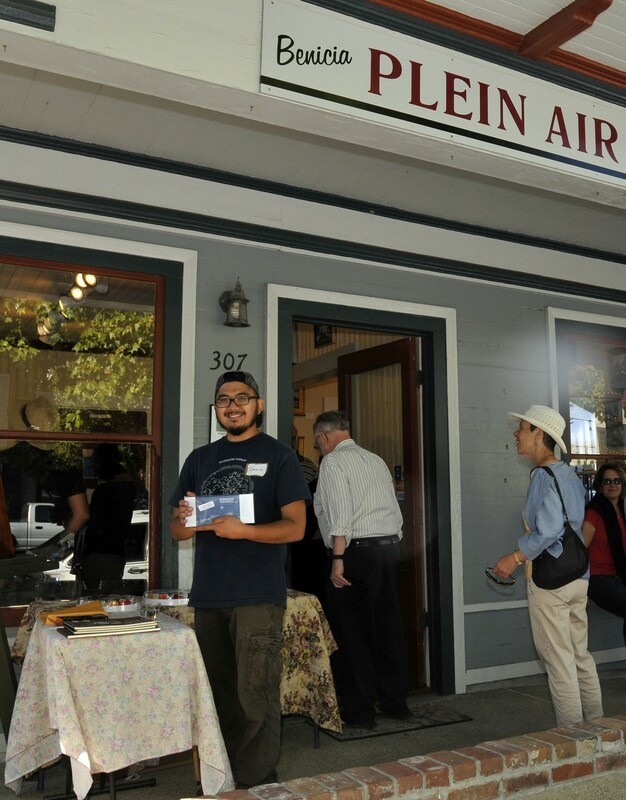 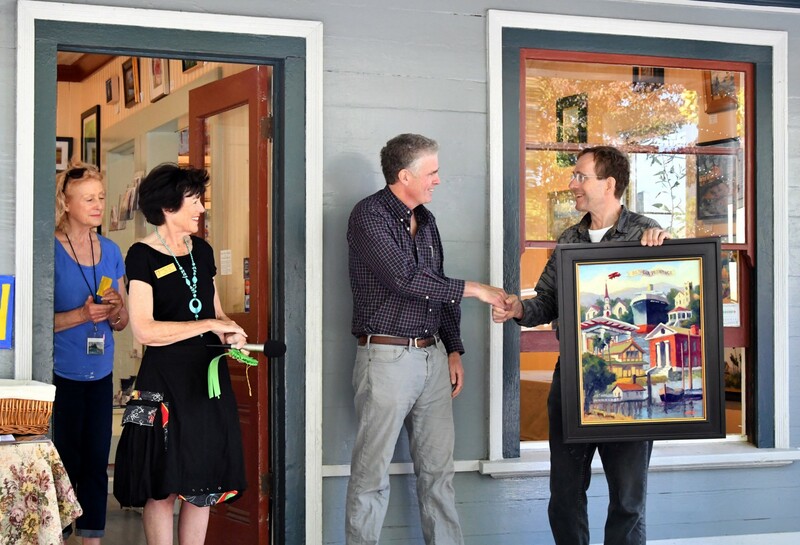 He's shaking Mayor Patterson's hand as John Finger and Benicia Gallery member, Catherine Fasciato watch. 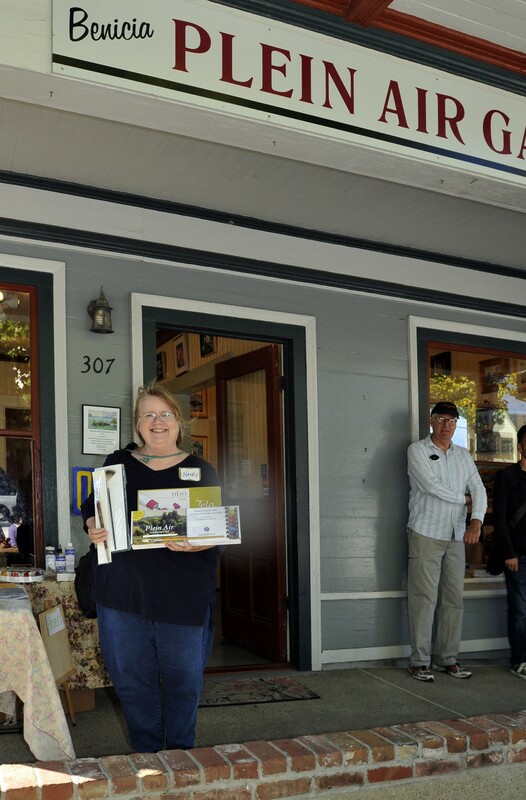 Justin won the watercolor set from Schminke.